The flag of Equatorial Guinea is both a symbol of the nation's people and their homeland. It is not the only flag that has represented the country since it gained its independence in the second half of the 20th century, but the differences between the various flags of Equatorial Guinea are relatively small. 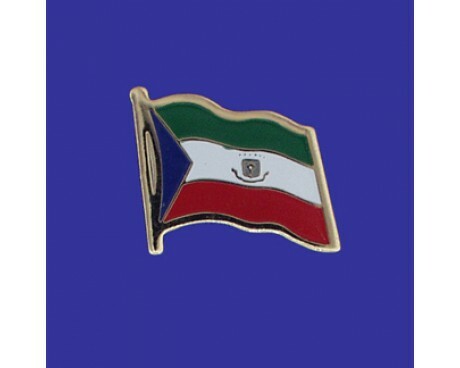 The flag has changed when the government has changed, but the fundamental features of the Equatorial Guinea flag have remained as stable as the fundamental features of the nation and its people. 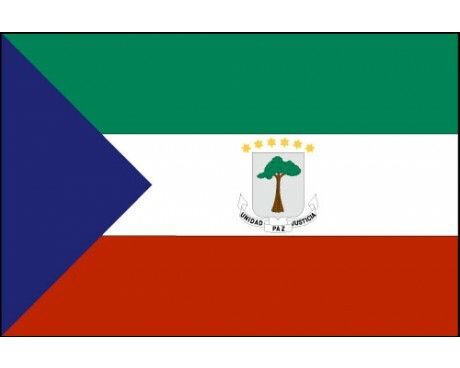 The Equatorial Guinea flag features three horizontal stripes of green, white, and red. A light blue triangle reaches out from the flag's hoist, and the nation's coat of arms is proudly displayed in the center of the white stripe. The blue triangle represents the ocean, while the green stripe represents the country's natural resources, the white stripe stands for peace, and the red stripe stands for the blood that the people spilled during their struggle for independence. The nation's coat of arms features a silk-cotton tree in reference to the place where the treaty that turned the nation into a colony was signed. It also features a set of six stars that represent the nation's offshore territories. Equatorial Guinea used a variant on the flag of Spain during the colonial period, but the nation's later flags do not show a significant influence from it. 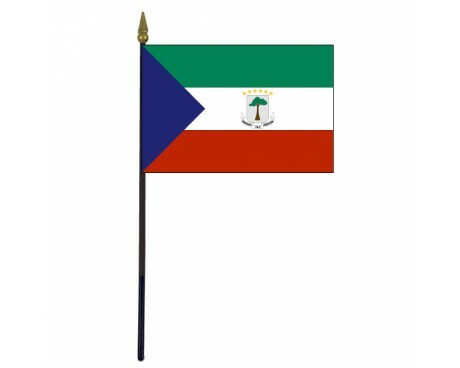 The first unique flag of Equatorial Guinea came into use in 1968. It followed the modern design, but a variant that did not include the national coat of arms was also in common use at the time. It fell out of use in 1973, during the reign of Francisco Nguema. Nguema replaced the coat of arms with an emblem that included several tools, a chicken, and a sword. Nguema was removed from power in 1979, and the new government reinstated the old flag shortly after it took power. 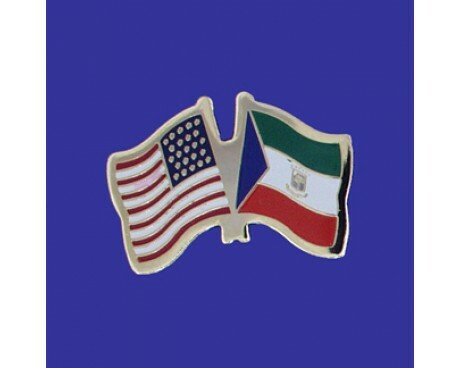 The flag's design has remained the same ever since, and its current popularity means that it is unlikely that it will change again in the near future.